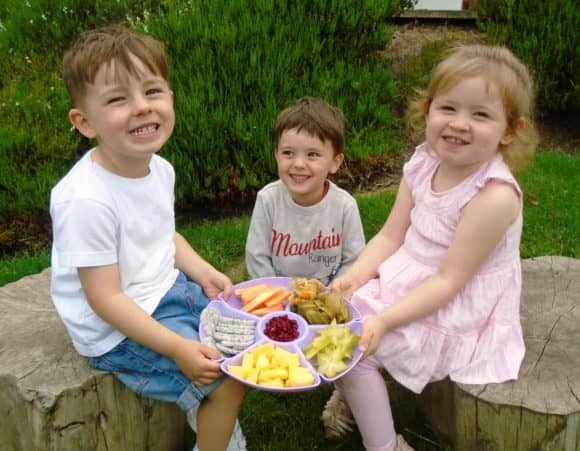 Fun, foodie activities have taken place at a Dundee nursery, as part of its annual enrolment week (Monday 19 – Friday 23 June 2017). 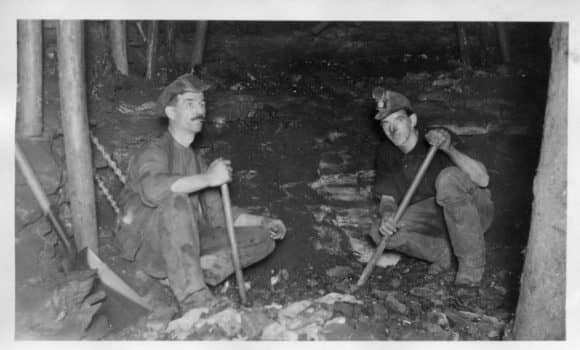 Before a faint local memory disappears completely, a Fife geologist has depicted an important forgotten industry in the East Neuk of Fife, after hearing reports from a local farmer whose tractor fell into a mine shaft several years ago. Steve Burke McKay’s life has changed dramatically in the last year. 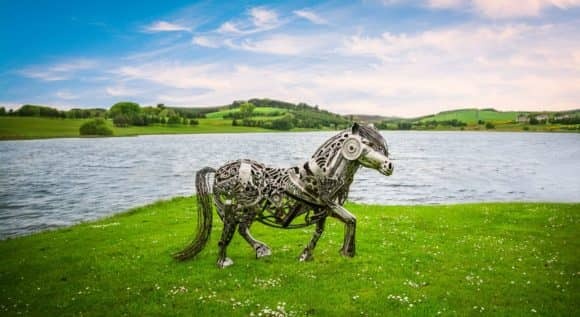 He’s gone from working in the oil and gas sector in Aberdeen for several years, moving to Ireland and London during the sector downturn in Scotland; and then returning to creating eye catching metal sculptures in the rural village of Tealing in Angus. At a reception at the University of Dundee Botanic Garden last night (Wednesday 14 June 2017), his latest work was finally revealed – Magnus, a life size Shetland pony – made entirely from recycled metal and farm machinery parts. A group of children are sowing the seeds of Ninewells’ new Community Garden Tapestry Lawn project. The Teddy Bear Club Nursery, just a stone’s throw from Ninewells, is looking after nine trays of seeds within the nursery greenhouse before they are planted within the garden. 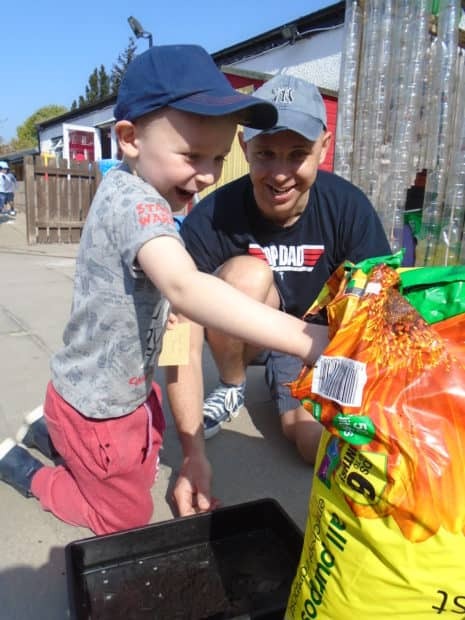 With the help of his Father Mark, Jasper (5) began the process of planting the seeds, a combination of Fragaria Vesca strawberry, Marjoram, Cat’s Ear, Rock Rose and Sea Campion. 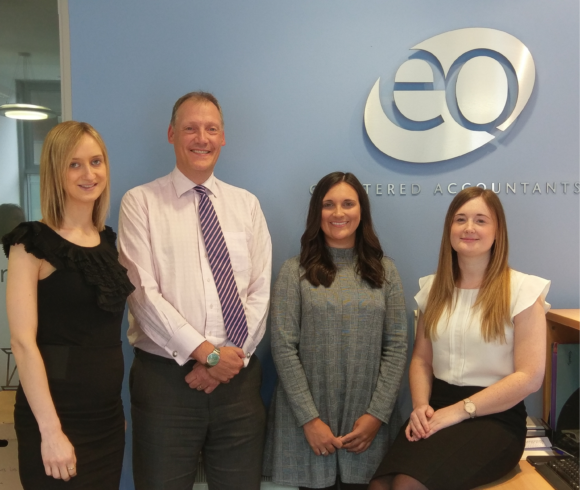 EQ Accountants have clawed back £10M of Research and Development tax credits for clients. The firm, which has offices in Cupar, Forfar, Dundee and Glenrothes, has secured the milestone sum of credits which potentially apply to any individual or business developing or creating new products, innovations or processes.